Clean the rocket, wash it and dab it dry. Put aside some leaves for garnishing. Cut the remaining rocket leaves finely and stir in with the cream cheese. Season with salt and pepper. Wash the tomatoes, cut out the stem bases. Cut the tomatoes into wedges. 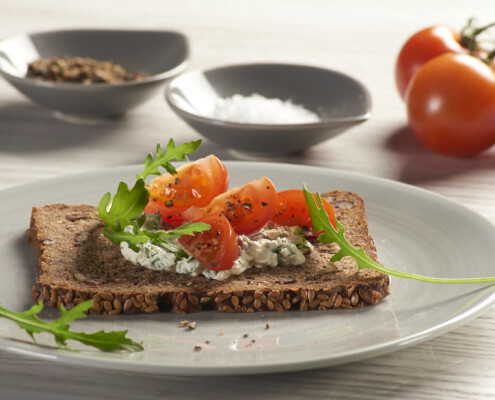 Spread the rocket cream onto the bread slices, top with tomato wedges and sprinkle with pepper. Garnish with the remaining rocket. 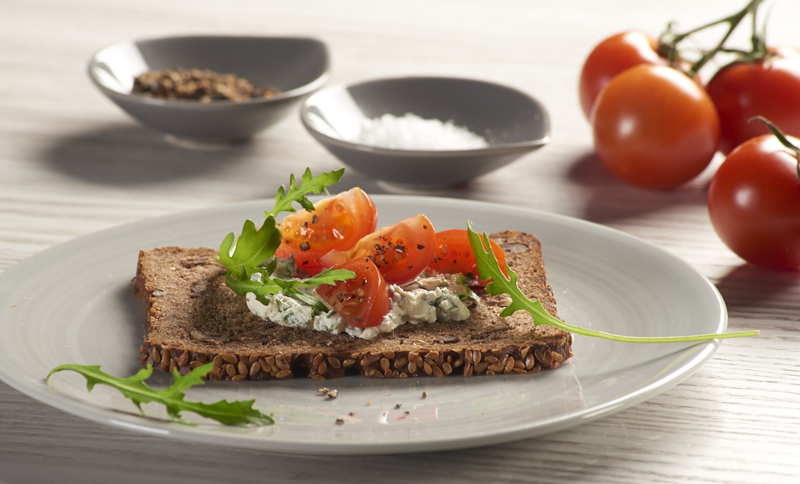 Tip: For those who would like to cut back on calories, we recommend using curd cheese instead of cream cheese.